High tensile strength, durable, lightweight construction. Ventilated shoe compartment (holds two pairs). Large main compartment with additional end storage pocket. 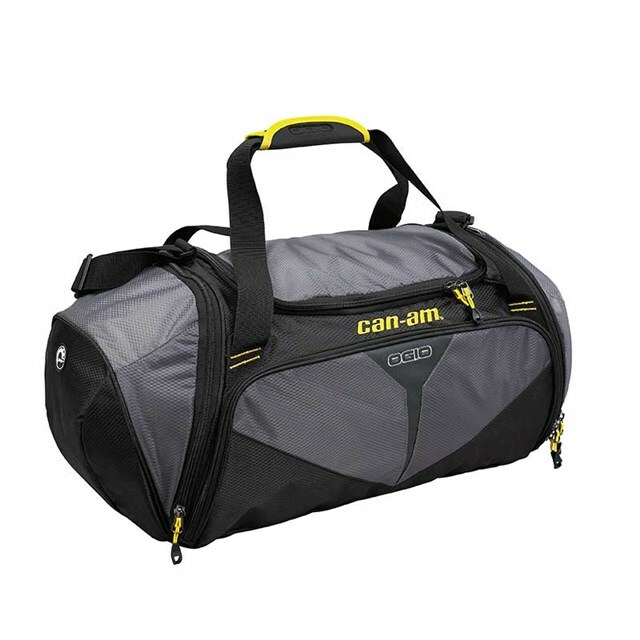 Padded, ventilated, and adjustable shoulder strap. Dimensions: 11" H x 9.75" W x 25" D (28 cm x 25 cm x 64 cm).